Home / Guides / Is Turbo VPN safe to use? If you Google ‘free VPN’, one of the first names that will pop up is Turbo VPN. It is one of the most popular free VPNs on the market and claims to have been downloaded more than 10 million times. But, as with all free VPNs, there are a number of question marks about the quality of their service and the level of security and privacy they actually offer to users. In this article, we are going to look in more detail at just how safe Turbo VPN actually is to give you an honest insight into exactly what you are signing up for if you use them. We will look in more detail at some of the specific criticisms that have been levelled against them and consider if there are any better alternatives to Turbo VPN that you could use instead. And we will also look at some of the wider issues with free VPN services in general. The honest and short answer to this question is no. There are a number of reasons to seriously question just how safe your online data is when using Turbo VPN. The first alarm bells ring when you visit their website, which consists of a single page filled with generic images, vague technical specifications, and rather poor English. But at least they do have a website which is more than many other free VPNs. Their social media pages are similarly poor with only a handful of posts this year and nothing since July. Even more worrying is the contact details they use which, if you can find them, consists of a single and extremely dubious Gmail address. Free webmail contacts never inspire much customer confidence. Then there is the fact that, as we reported earlier this year, the TurboVPN app mysteriously disappeared from both the Google Play and Apple app stores for a time. No reason was given for its sudden unavailability and the fact wasn’t acknowledged on the Turbo VPN website or on any social media account. But most worrying of all is the background to this extremely shady free VPN service. Our research found the company was registered in Beijing, China. The authoritarian Communist country which has the worst record for online freedom of any nation on earth. We reported last month that many free VPNs have links to China and Turbo VPN’s connections are beyond dispute. We can only imagine what happens to the data of Turbo VPN users inside a country with the most sophisticated online surveillance technology in the world. But we know we certainly won’t be trusting them with any of our data. The big attraction of Turbo VPN is that it is free and the truth is that if you choose a free VPN, you will always be compromising your safety and privacy. We have elaborated on this in more detail below. Turbo VPN claims to unblock websites and streaming services, encrypt all of your online data, enable you to surf the net anonymously and protect you on public Wi-Fi networks. ExpressVPN – ExpressVPN is, in our view, the best VPN on the market right now. It combines high-level encryption with a proven no user logs guarantee. This means you can be sure that your data is private and secure at all times, even when using an insecure public Wi-Fi network. As the name suggests, it connection speeds are lightning-fast and with servers in almost 100 countries, ExpressVPN can unlock just about any blocked website you can think of. IPVanish– IPVanish is another VPN which offers a guaranteed combination of market-leading encryption and a dependable no-logs guarantee meaning you can be confident that they are keeping you private and safe online. IPVanish is not free, but it is very cost effective and with up to 10 simultaneous connections allowed with each account, you can even share the cost with friends and family to make it even cheaper. NordVPN– If the big attraction of Turbo VPN is the price, then take a look at NordVPN. They are one of the most affordable premium VPN services and if you sign up for longer, you can get the price down as low as US$2.99 a month. There is no compromise on quality either. NordVPN also offers the best encryption around and watertight privacy protections in addition to a huge range of servers helping you to unblock content and streaming services from almost everywhere. Are any free VPN services safe to use? As we mentioned above, there are a number of reasons to question how safe any free VPN actually is. The reality is that it costs money to set up and operate VPN infrastructure and to establish a network of servers around the world. If a VPN isn’t charging a subscription, the question you have to ask is how are they raising money to cover these costs and generate profits? Some will use advertising which can pop up on the VPN platform, but more often will be injected into the web pages you are using. This can slow down the internet, introduce links to unsafe sites, and mean your browser is cluttered with adverts and pop-ups no matter what sites you are visiting. The easiest way for free VPNs to generate revenue is to monetize their most valuable asset; the data of their users. While most free VPNs claim to protect your data, the reality is that the vast majority sell it on to numerous third-parties, usually without a thought to who is buying or what they will use it for. 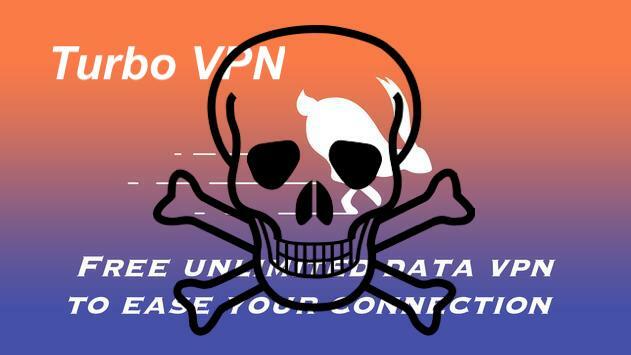 Some free VPNs have also been found to include malware and other malicious software or even to inject malicious code directly into your internet connection. Others are not actually VPNs at all, but rather proxy services. Many free VPNs have been found unable to do even basic things like unblocking Netflix and other websites. But perhaps the most worrying aspect of free VPNs is the confirmed links of many of them to Communist China, a regime well-known for its online surveillance programmes. This raises big questions about what happens to the data these free VPNs use. Paid-for VPNs operate a different business model entirely. By charging users a small monthly subscription fee, with big discounts for those willing to commit for longer time periods they are able to generate revenue without the need to resort to other measures. This means that paid-for VPNs can focus all their attention on delivering the most secure, private, fast, and efficient service possible to their customers. Not all providers succeed in all of these areas, which is why it is so important to shop around for the right provider for you. But if you pick one of the best providers around, such as ExpressVPN, IPVanish, NordVPN, and the other VPNs recommended on this site, you can be confident in the service you will receive and be sure that there are no nasty hidden extras. With these paid-for VPNs, your data will be protected with market-leading encryption that guarantees it will stay safe. Almost all offer a no-user logs guarantee that has been independently verified too. This means that your privacy online is 100% guaranteed too. The subscription model also incentivises paid-for VPNs to invest in their server network and infrastructure too. This means that they will always offer a faster and more reliable service and will put more effort into ensuring that all the most popular websites and streaming services can be unblocked. The difference is the performance of a paid-for VPN and a free VPN is absolutely enormous and for the small subscription fees they charge, it really is a no-brainer. Turbo VPN may be popular, but there are a number of big reasons why you would be advised to choose a different provider. Their poor web presence and use of a GMail address for contact raises alarm bells. But there is more. Their disappearance from app stores earlier this year raises serious concerns about the company and digging deeper there is good reason to worry, as Turbo VPNs Chinese links have now been exposed too. As a free VPN, Turbo VPN also carries the same risks as other free VPNs. They have to generate income from somewhere and probably do so by selling your data on to third parties. They may also inject adverts and other malicious code into your connection. If you want a VPN that will keep your online data safe and secure, your best bet is to use a paid-for VPN such as ExpressVPN. For just a few dollars a month, you can be confident in the security and privacy of your connection as well as benefit from fast connections speeds and a reliable service. Turbo VPN may bill itself as a free VPN. But ultimately, with free VPNs, you always end up paying more.